The Magnolia Hotshots vaulted back into Playoff contention with their third win in four games. They dominated the Columbian Dyip, 109-83. After starting the season with three straight losses, Magnolia moves up to sixth from 10th with win number three. They push Columbian to the edge of the Quarterfinals cutoff at eighth. It was a balanced scoring effort for the Hotshots as everyone but two players got on the board. Ian Sangalang led all scorers with 16 points and six boards. 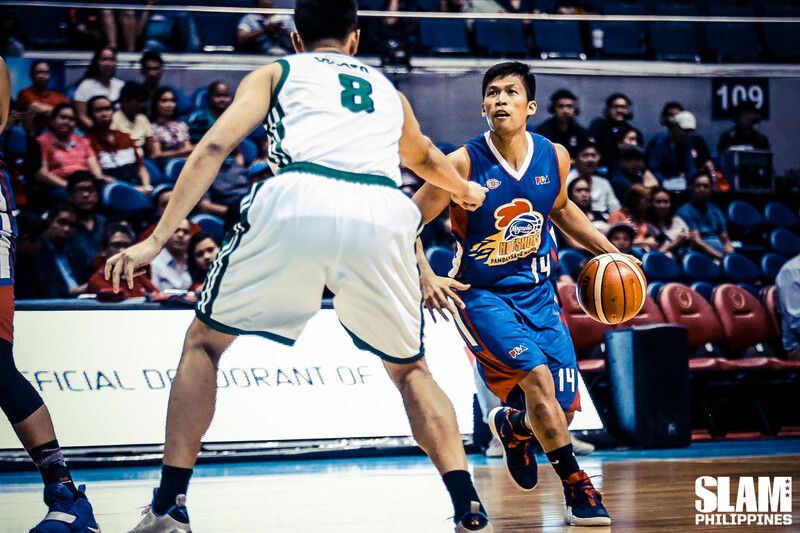 Mark Barroca backed him up with 14 points and six assists off the bench. Five other players scored at least eight points to form the bulk of the Magnolia offense. Rashawn McCarthy led Columbian with 19. The Hotshots offense was on point in the game. They shot a clean 48% from the field, including 40% from beyond the arc on 11 makes. They had 27 assists as a team. But more impressive than their offense was their defense. Magnolia limited Columbian to just 38% shooting. They shut down the Dyip’s outside shot, allowing only two three-pointers for a 9% clip. Magnolia asserted their dominance from the get-go. Sangalang powered Magnolia’s start with back-to-back buckets in the paint to jump out to a 5-0 lead. After Columbian finally got on the board, Magnolia’s outside shooting started to click. Mark Barroca and Justin Melton drilled two straight treys to push the Hotshots ahead, 15-6. Magnolia took their first double-digit lead of the game, when Aldrech Ramos closed the period with a trey. The lead stayed at a safe level all the way to the end of the first half. Unfortunately, there would be no comeback runs from the Dyip. The Hotshots continued to pour it on in the second half. After the Dyip cut the lead down to nine, Barroca, Paul Lee and Rome Dela Rosa went on a 6-0 run to bring the advantage up to 15. Sangalang and Lee continued to pile on the points in the fourth quarter as Magnolia ran away with the game, leading by as much as 28 points. In the second game, the NLEX Road Warriors bucked the ejection of Coach Yeng Guiao to get the win over the Alaska Aces. They took down Alaska, 91-70 to end their losing run at two games. NLEX is still fighting for a Playoff spot at ninth while Alaska is at seventh in the standings. With 5:19 left in the second quarter, Guiao got his second technical foul, removing him from the game. When the game resumed, Jake Pascual scored on a layup to get Alaska to within three points. That was Alaska’s opening to get back into the game. But the Road Warriors refused to let the Aces get rolling. 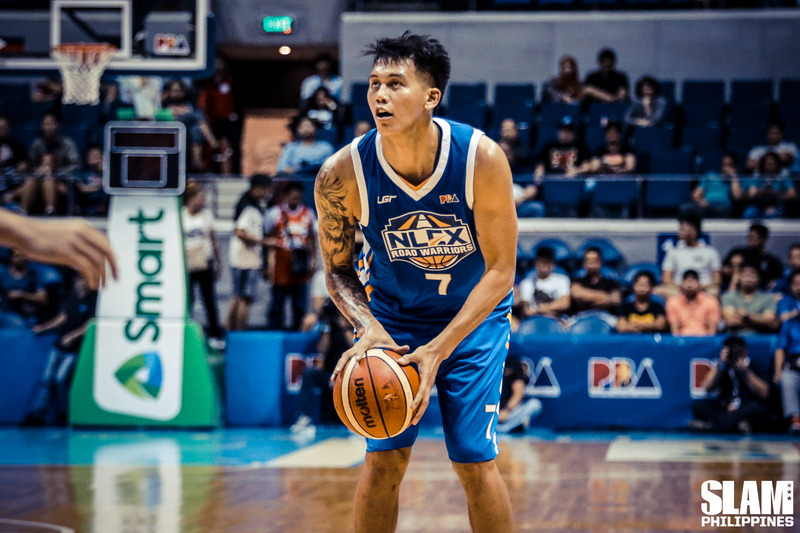 JR Quiñahan drilled back-to-back three-pointers to stifle Alaska’s run and push NLEX back up by nine points. Poy Erram, Bong Galanza and Juami Tiongson added six more points to complete a 12-2 run to close out the first half. NLEX was safely ahead by 14 points at that point. The Road Warriors cruised to an easy win the second half as they continued on a steady pace on offense, constantly keeping Alaska at bay. The ejection didn’t knock down the Road Warriors, instead, it fuelled them to get a big win. Quiñahan and Galanza led NLEX with 14 points each. JP Erram added nine points, 12 rebounds and one block. Jansen Rios had 10. Jeron Teng led Alaska with 23.